Learn how to use quotations in your writing! Use this exercise to give your students practise using direct quotes as evidence to support statements. 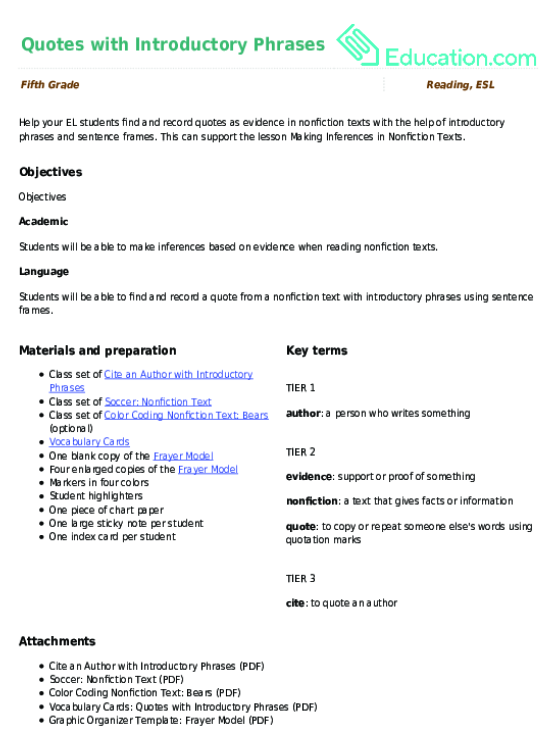 For additional practise using quotes, follow up with the next WorksheetIn the series.